All Fajitas are served SIZZLING hot over a bed of sautéed onions and bell peppers with rice, beans, pico de gallo, sour cream, guacamole, grated cheese, and warm tortillas. New York steak accompanied by sautéed shrimp. Served with rice, beans, and warm tortillas. Tender, slow roasted pork served with rice, beans, pico de gallo, avocado, and warm tortillas. Fresh Anaheim pepper stuffed with Monterey Jack cheese. Served with rice, beans, and warm tortillas. Vegetables cooked in our delicious cream sauce. Served with rice, beans, and warm tortillas. One half pound New York steak grilled to order. Served with guacamole, pico de gallo, rice, beans, and tortillas. 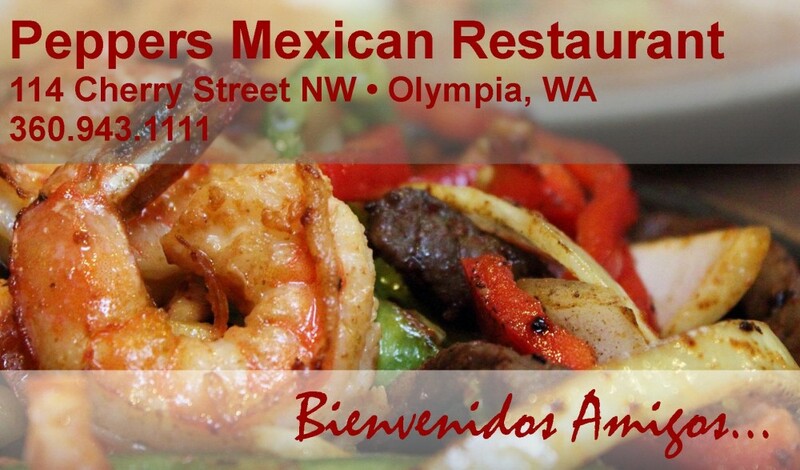 Sliced top sirloin sautéed with onion, green pepper, tomato, and cilantro blended with our special sauce. Served with rice, beans, and warm tortillas. Your choice of a tamal, enchilada, taco or burrito with a chile relleno. served with rice and beans. Two crisp flour tortillas stuffed stuffed and rolled with your choice of chicken, ground beef, shredded beef, or pork. Served with rice, beans, guacamole, and sour cream. Crisp flour tortilla stuffed and rolled with your choice of chicken, pork, ground beef, or shredded beef, beans, and rice topped with guacamole, sour cream, lettuce, tomato, and grated cheese. A crisp flour tortilla topped with your choice of chicken, ground beef, shredded beef, or pork, beans, lettuce, tomato, olives, and sour cream. Tender pork simmered in verde. Served with rice, beans, and warm tortillas. Your choice of two tamales filled with your choice of pork, chicken, shredded beef, or spinach. Served with rice and beans. All enchiladas are served with rice and beans. Two enchiladas filled with shrimp, cod, crab, onions, and mushrooms in a white sauce and topped with avocado. Served with rice and beans. Two enchiladas filled with spinach, mushrooms, and onions, smothered with our cream and tomatilla sauce. Two enchiladas with your choice of chicken, ground beef, pork, shredded beef, beans, cheese, or cheese and onion, smothered with our light cream and tomatilla sauce. Two enchiladas filled with your choice of chicken, ground beef, pork, shredded beef, beans, cheese, or cheese and onion and covered in verde sauce. A hand trimmed New York steak prepared to your liking. Served with French fries.